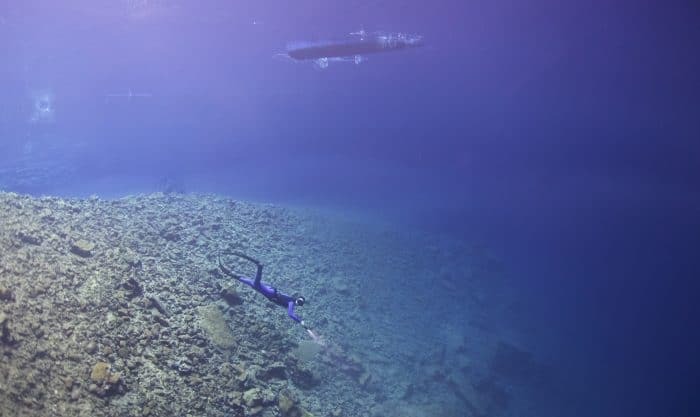 Kefalonia, the largest of the Ionian Islands has typical Greek rocky coastline with crystal clear water – a perfect late summer freediving holiday destination. It also boasts 17 caves in one area 5 of which contain lakes, albeit with various degrees of accessibility or suitability for swimming. Kiri and I dived several untouched beaches and were pleasantly surprised to find a few rare giant mussels, Pinna Nobilis, (found only in the Mediterranean Sea). It is one of the largest bivalves in the world, growing to 120cm long. After some scenic coastal dives we met up with Aquatic World, a friendly shop on the islands east coast, who provided us some local geographical information and kindly lent us some lead! 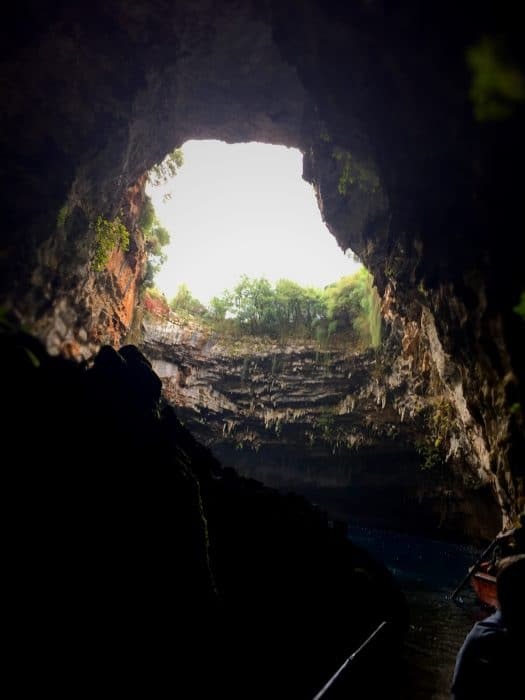 We told them that NoTanx specialized in underground lake diving (Phreatic Divers), and that we were interested in the islands hidden, secret labyrinth of phreatic tunnels. 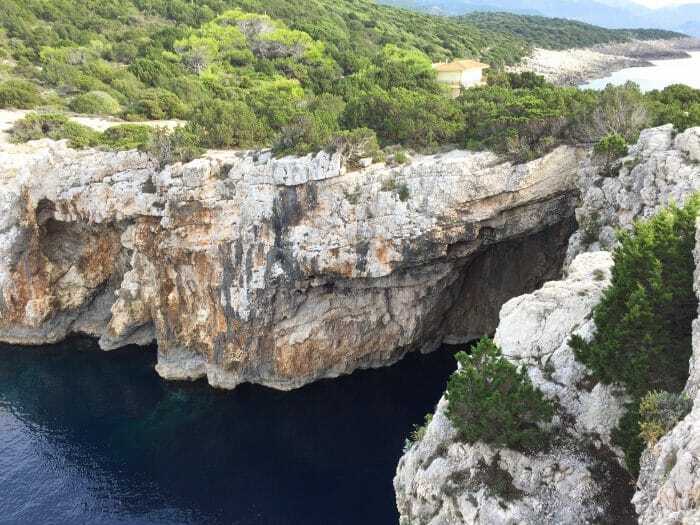 Water is sucked into huge sink holes from the Ionian Sea on the west side of the island, via huge karst conduits and expelled in the Bay of Sami on the east of the island. Although just 10miles on land this journey takes the water over 2 weeks to filter through these huge underground systems. 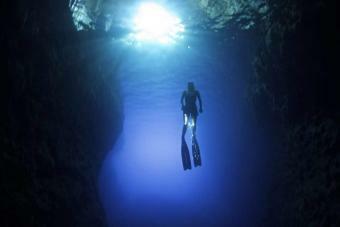 Melissani cave is one of these cenotes, it was discovered after a collapsed during the 1953 Ionian Earthquake. Tourists can take a short trip by paddle boat through both sections of the lake; one open to the sunlight, the other dark and mysterious despite the incandescent floodlight flickering behind a mound of fallen roof rubble. As it is a famous tourist site; diving is forbidden. 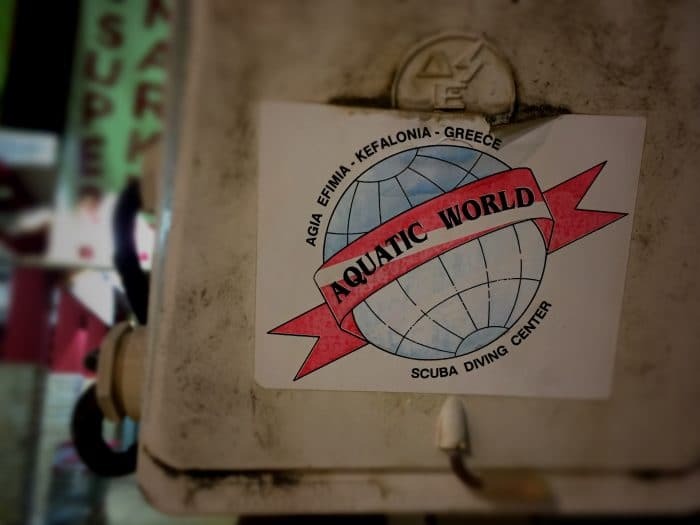 Despite this, we persevered and managed to arrange a meeting with the Mayor of Kefalonia, who, after some negotiating, gave us permission to freedive in exchange for photographs. Returning to the cave, the crystal turquoise of the water almost takes your breath away, as does the 14°c / 57°f water temperature. The sudden change in temperature forms a permanent mist below the surface of the water at about 8meters. The chamber drops off quickly to 30m with water so clear it feels like flying. 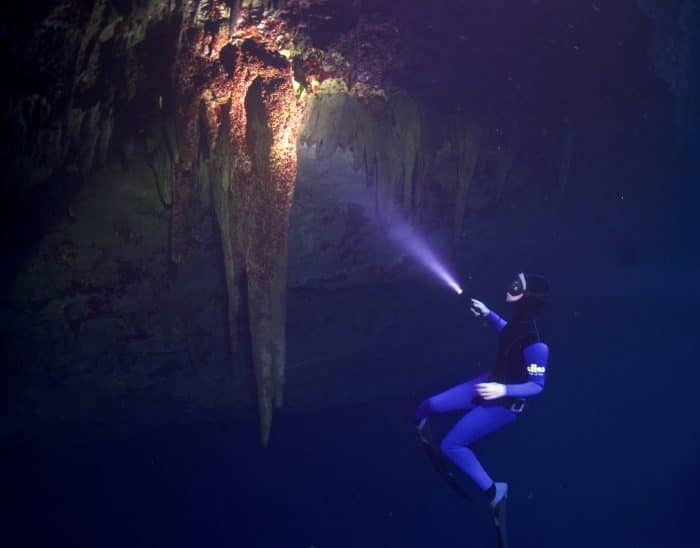 The visibility is stunning, we could almost see the entire length of the 50m long 1st chamber! The splendor of the main chamber is awe-inspiring: thousands of years ago the cave was dry, leaving huge speleothems (stalactites & stalagmites). Surprisingly, there is very little life in the water considering the amount of sunlight falling on the open section. 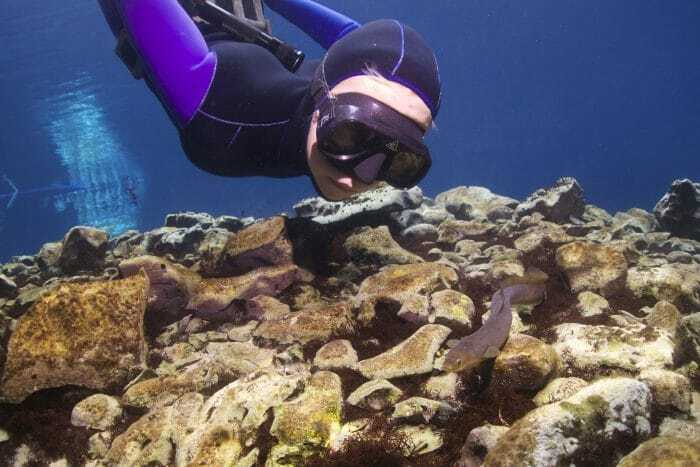 Eels, however, seem to thrive there, and are not afraid of divers.